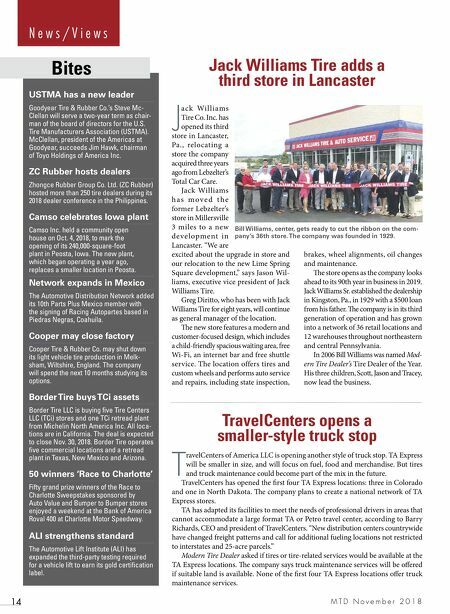 M177 Steer Long Haul M154 Steer Regional M144 Steer Motorcoach M153 Steer Waste Haul M677 Drive Long Haul M920 Drive Long Haul/Regional ©2018 Toyo Tire U.S.A. Corp. MADE ADE TO MOV MOV MO E " Cassidy Tire has been a Toyo dealer for more than 40 years. 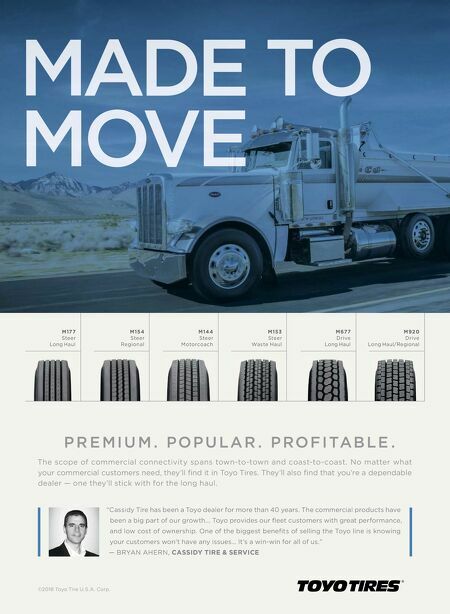 The commercial products have been a big part of our growth... Toyo provides our fl eet customers with great performance, and low cost of ownership. One of the biggest benefi ts of selling the Toyo line is knowing your customers won't have any issues… It's a win-win for all of us." — BRYAN AHERN, CASSIDY TIRE & SERVICE P R E M I U M . P O P U L A R . P R O F I TA B L E . The scope of commercial connectivity spans town-to-town and coast-to-coast. No matter what your commercial customers need, they'll fi nd it in Toyo Tires. They'll also fi nd that you're a dependable dealer — one they'll stick with for the long haul.